Preparing your own income tax returns seems to be a task that leaves you with more questions than answers. Recently a study released by the US Government’s General Accounting Office noted most taxpayers (77% of 71 million taxpayers) believe they benefit from using a professional tax preparer. Whether you like it or not, tax laws in today’s world are very complicated. Filing a relatively simple return can even be confusing. It’s just too easy to overlook credits and deductions to which you’re entitled. Even if you use computer software to help, there’s no substitute for the assistance of an experienced income tax professional. Tax returns will be checked and verified by our tax tools searching for potential problems the Internal Revenue Service may review more closely. We check all the math to limit IRS contact. Our staff will show you adjustments on your payroll withholding to reduce your outlay and get more money back every week. Why give the IRS your hard earned money, interest free, for up to 12 months of the year. We will find potential deductions which can limit your tax liability for the following year. In addition, we will give you data on commonly overlooked deductions to limit the coming year’s tax liability. Finally, your tax return will be filed electronically so you get a tax refund back quickly. Is your bookkeeping messy? No problem! If you own a small business in Stoughton WI and have not kept up with your books, no worries. We’ll help you prepare your bookkeeping for the year, prepare a full Schedule C, as well as your personal income tax returns. Then we will help set up an easy system that will allow you to keep your books in good condition next year. Do you wish to receive more information about our Tax Preparation Services in Stoughton WI, please use our contact form. 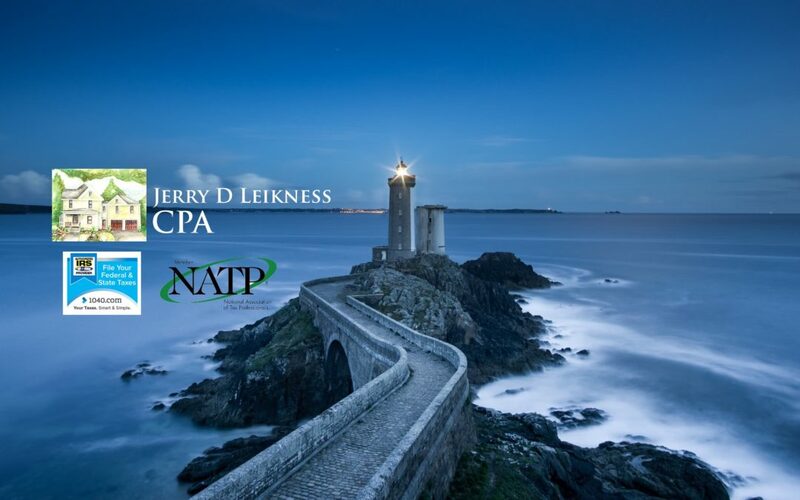 Jerry D Leikness, CPA is your best choice for tax preparation, accounting and payroll expertise.